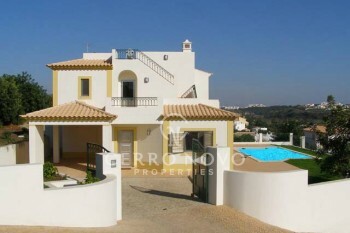 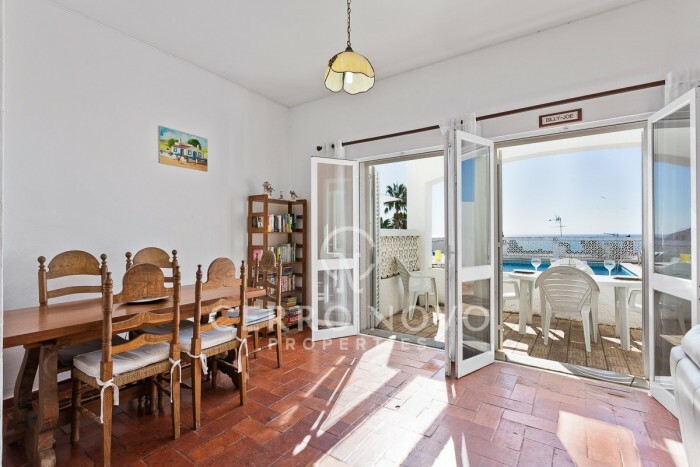 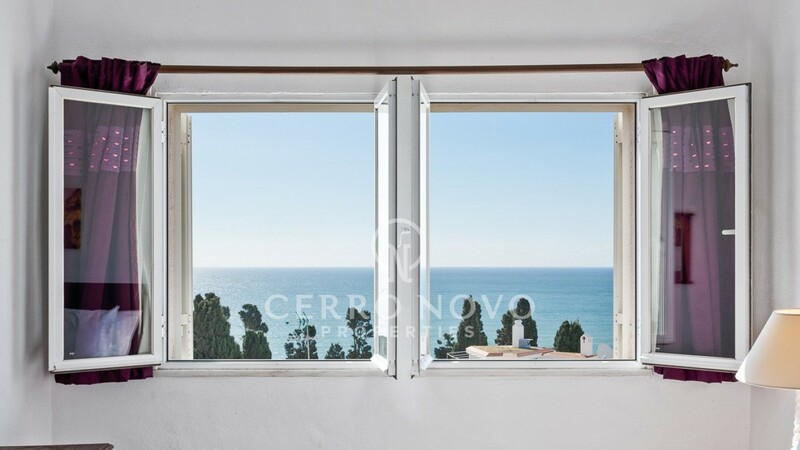 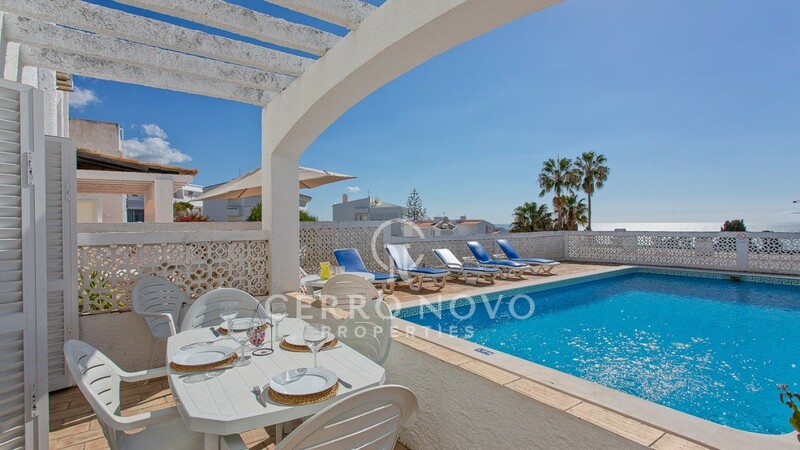 Four bedroom attached villa with spectacular sea views - P.O.A. 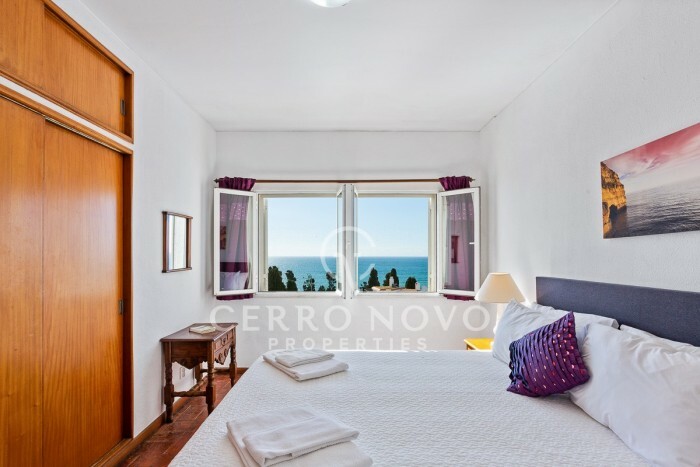 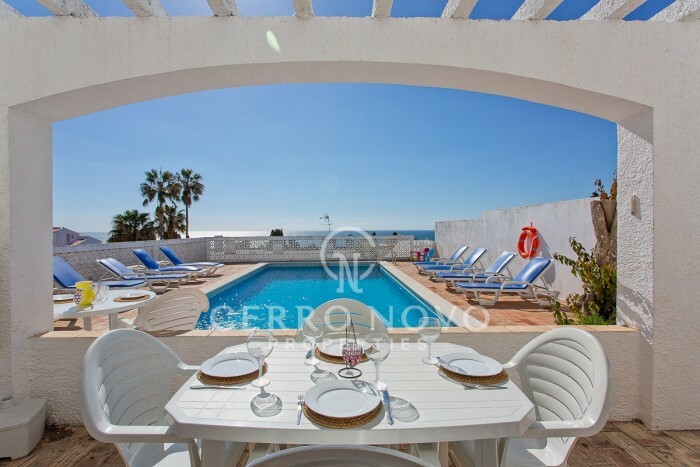 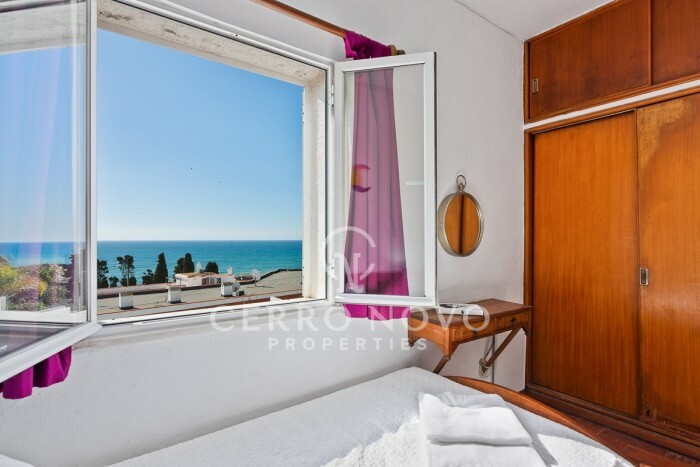 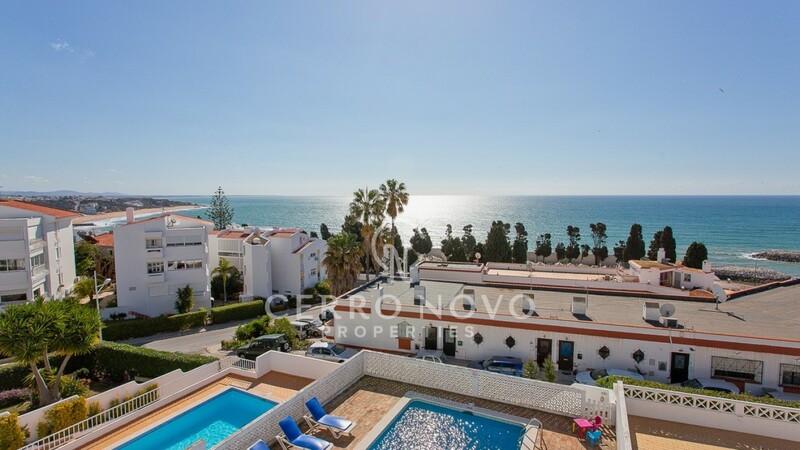 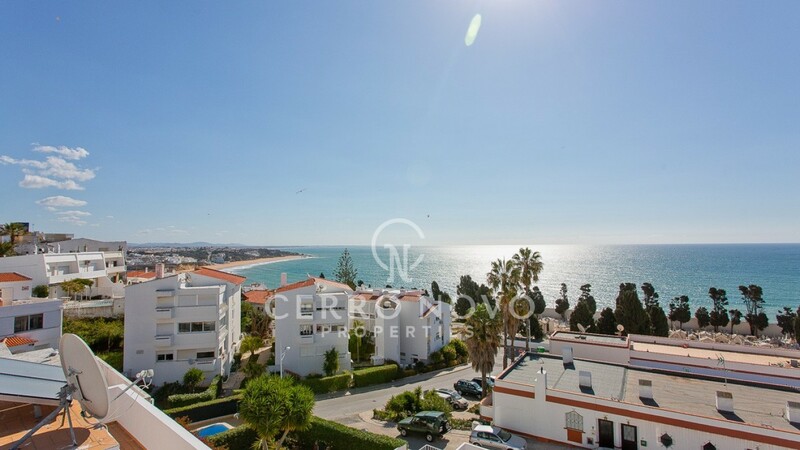 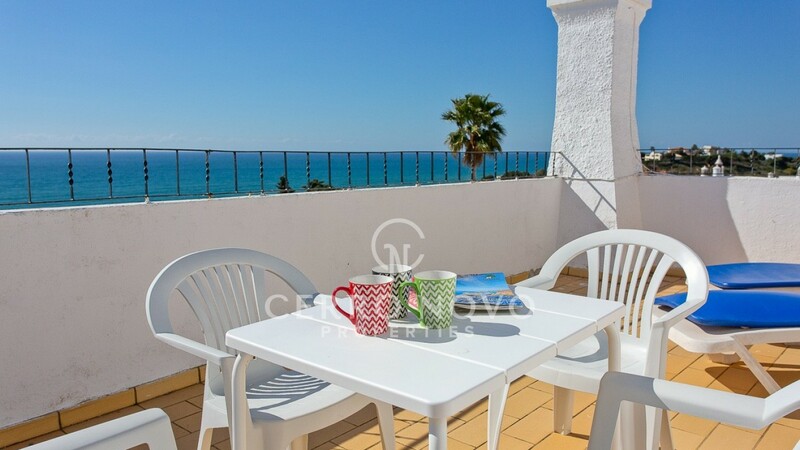 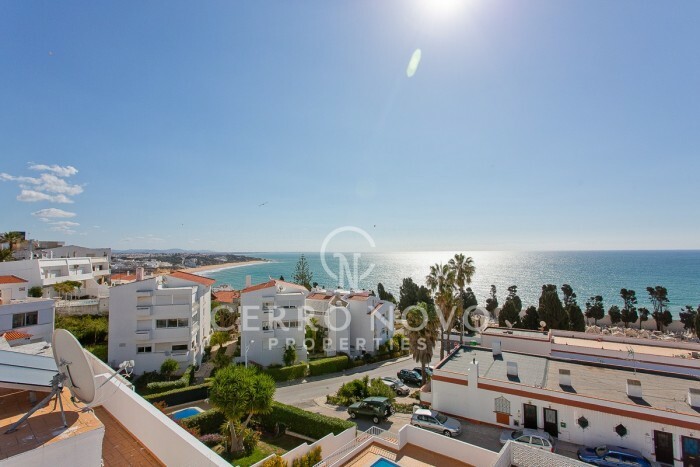 Located in the sought after residential area of Cerro Grande on the west side of Albufeira with a fabulous ocean view from all levels. 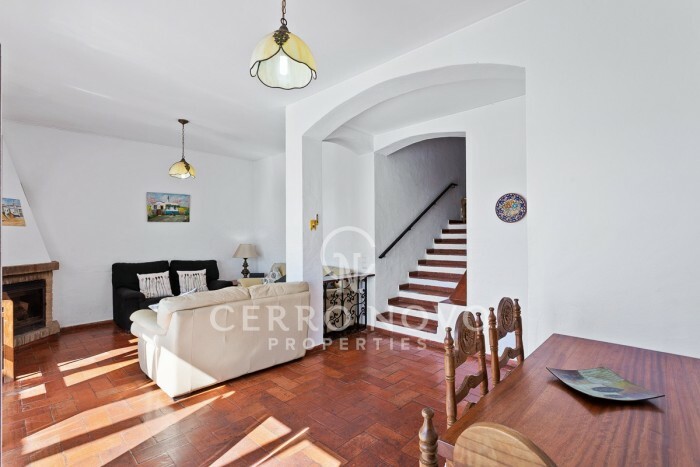 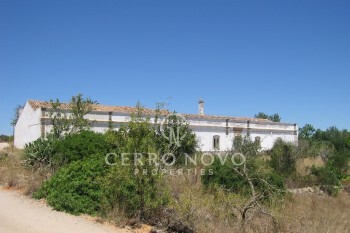 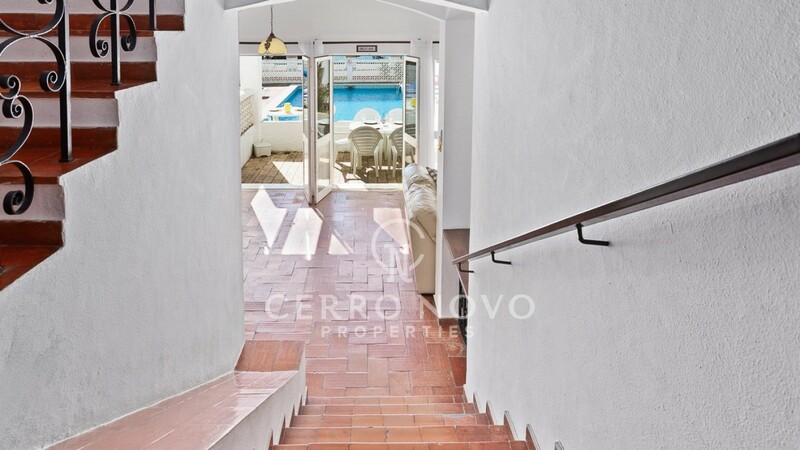 Easy walking distance of the old town centre, beaches and restaurants. 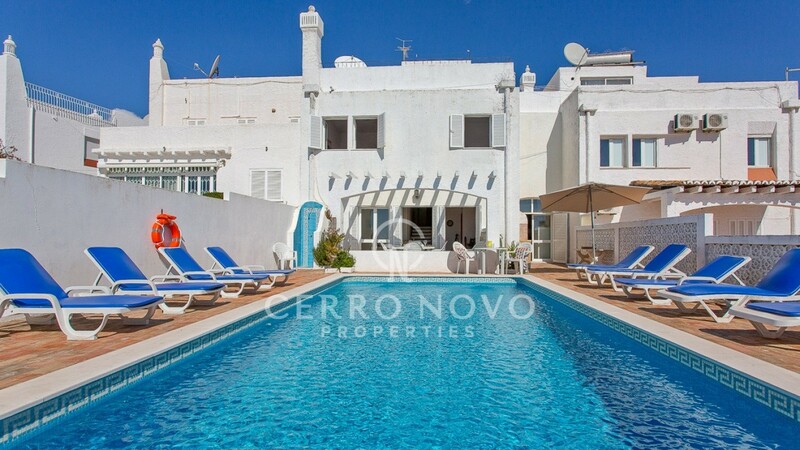 This traditionally styled, attached villa opens via patio doors, from both the large kitchen and the living area, onto a sun drenched south facing pool and dining terrace. 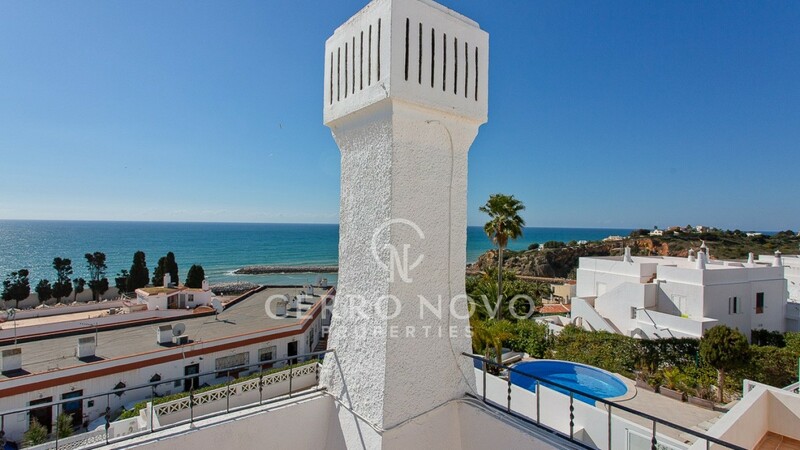 On a higher level are four bedrooms and two bathrooms plus a roof terrace with a spectacular far reaching coastal vista. 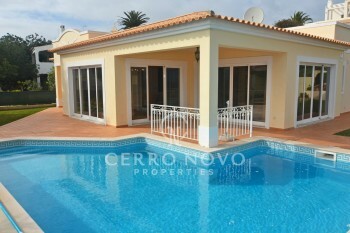 Could benefit from a little updating but is in very good condition.